Learn how to grow pumpkins and squashes successfully with our vegetable garden tips and grow your very own pumpkins in your own garden. If you have the space in your garden, pumpkins and squashes are easy and fun crops to grow, and they do need the space to spread themselves around. Pumpkins and squashes are available in a range of shapes, sizes and colors and are also quite attractive in appearance. 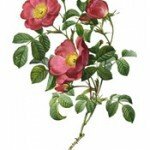 Most are edible but there are some that are grown just for decorative purposes. Some are purely decorative. There are two main types available, these are summer squashes, which are smaller, and are picked as soon as they ripen. The others are winter pumpkins and squashes. These mature at the end of the summer and are left outside to ripen and toughen up in the sun . Pumpkins and squashes share the same soil requirements as courgettes and marrow. They require a rich, moisture retentive soil with plenty of added organic matter, they also need an open, sunny site. Pumpkin seeds should be sown inside in mid-or late spring and planted out in early summer. Try germinating the seed between layers of kitchen roll before planting in pots. Gradually harden off the seedlings. When the pumpkin plants have three or four leaves, they can then be planted out into mounds, the same process applies for courgettes and marrows. To provide as much growing space as possible allow at least 4ft between each plant . Pumpkin plants need to be watered and fed generously throughout the season to achieve the best results. Summer squashes are harvested in the same way as courgettes, this means that they are picked regularly over the summer. However pumpkins and winter squashes are ripened on the vine until autumn while their skins harden in the sun. 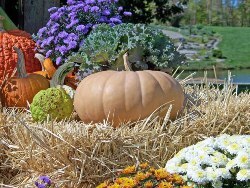 In wet or damp weather better results will be achieved if you raise the pumpkin or squash slightly onto a bed of straw. You could also cut the fruit and leave it to finish ripening in the greenhouse. Winter squash that has been well ripened will keep for several weeks. 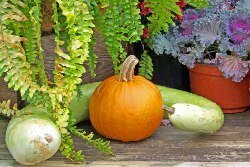 Pumpkins and squashes are easy to plant and take care of. The biggest threat usually comes in the damage slugs can inflict on younger pumpkin plants.